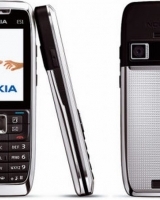 Business professionals who thoroughly rifle through exquisite and highly productive mobile devices are generally observed halting by Nokia’s stores. Not only for the business features they incorporate to make life simpler, but also for endowing compact dimensions and a good set of functions. 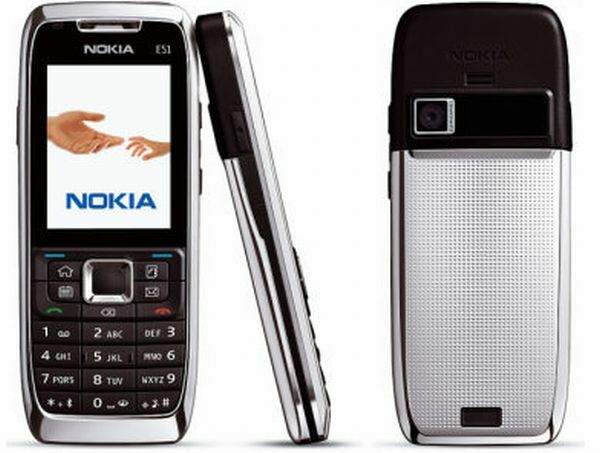 One such example from the maker in recent times has been the stylishly devised Nokia E51. A proud successor to the company’s E50, the new mobile device topples as somewhat a great combination of decent looks, decent features and decent performance. So what makes the handset souped up? Well, the fact that Nokia has hammered away its best to infuse attributes for your personal as well as professional use. So what makes or breaks the spine of E51? Well, the device boasts of its powerful ARM 11 type processor under the hood which not only gives a clock rate of 369MHz, but also speeds other things up. We didn’t really witness any performance lags when working accessed Nokia Maps for some personal use. However, the disappointments sure enough pour in heavy when heavy applications are accessed. The phone not only shows certain slow-downs there, but also crashes at times to pile up your discomfort. But you may appreciate the model’s sleek design and other business features that E51 comes incorporated with. Some may even have to arch their shoulders for the not-so great camera quality. Besides having slipped on other features such as LED flash and high definition video record capture, the handset also happens to draw a blank on simple attributes. Nevertheless, you can still play the game with its QVGA @ 15fps recording. The call quality, in a nutshell, emerges as pretty strong and clear to us – so communication lovers, you have a treat there. Based on Nokia’s proprietary Symbian 9.2 operating system and Series 60 v3.1 user interface, the stylish looking E51does pull off well in stuffing all powerful features inside a sleek chassis. The device comes equipped with a pretty decent 2” display with resolution support for 240 x 320p. By taking advantage of which, one should be enabled to indulge in clear viewing of pictures and videos. The 100g lightweight model, however, with prime focus on ‘business’ has been perked up by some fun features as well. Users will be benefiting from the integrated instant messaging, visual radio, FM radio and video and audio players. Doused in sheer black and silver shades, the appealing E51 enhances the experience through Nokia Maps, MS Word, Excel and PDF files and PowerPoint. So what about those who enjoy fluttering smiles and capturing their special moments? Well, don’t arch shoulders as there is a 2 megapixel camera. However, you certainly cannot compare the quality with those high-end ones buzzing the market these days. Nonetheless, the phone takes care of your other needs by having embedded support for Bluetooth, Wi-Fi, 2.5mm audio jack, 130MB internal storage and up to 16GB of storage via a card slot. In terms of the juice that it proffers, you will nowhere be getting more than 4 hours and 20 minutes of talk-time and 310 hours of standby time. Enclosed in an intriguing, fine-grained shell, the 100g E51 phone sports a trendy candy bar design. Some may even find it as a staple of European style units. Nonetheless, the overall fabrication falls on the good build quality, with the back cover perking the look up through class and style. Somewhere designed to showcase an underlying masculinity, Nokia’s business toddler makes sure to accord well with users’ elegant style stamen. There’s a nattily adjusted QWERTY keyboard as well that makes typing in long documents quite simpler and almost a breeze. The 5-way directional pad, whereas, has been settled with a rectangular shape and a large center key. Although the handset doesn’t endow a strikingly gorgeous chassis, E51 still manages to leave users impressed with sturdiness and compactness. Coming to the comfort factor, the smartphone features four dedicated application launch keys and large call buttons for seamless conversations. But, the shoulder keys unfortunately appear too slim to sustain the ease of usage. On the whole, the layout scores good marks while still leaving scope for improvement in the arrangement of buttons. To summarize, Nokia’s E51 smartphone is quite a straight-arrow, befitting option for those who are seeking a phone with a ‘fair to middling’ set of features. Priced around Rs. 11,250, the handset not only appeals to a mass market, but also to those who just want to piggyback one for some fun and entertainment in their lives. Be it conversing with others in good quality, surfing the web or just getting your work done, E51 manages to execute almost everything presentably. Nevertheless, the price tag stitched along might seem somewhat drooping on a heavier side – considering the fact that several other makers are just stepping higher with the integration of features for just about the same amount.